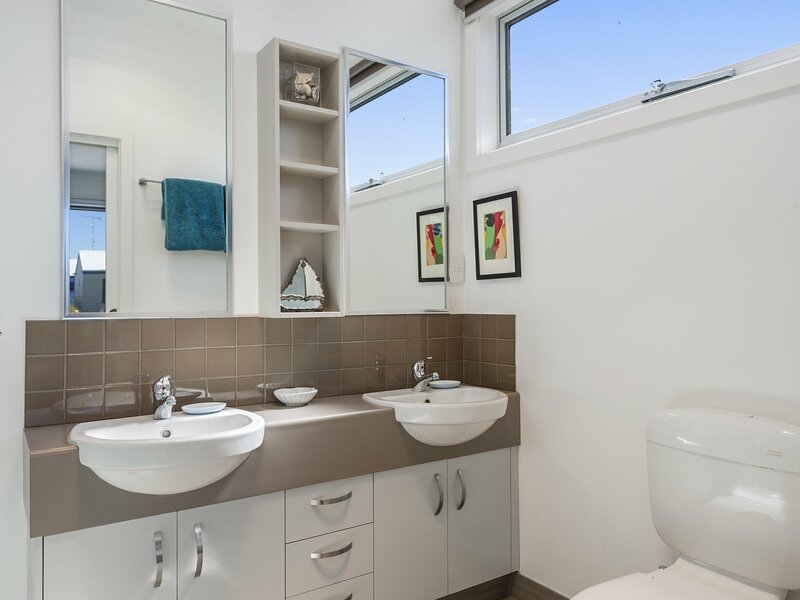 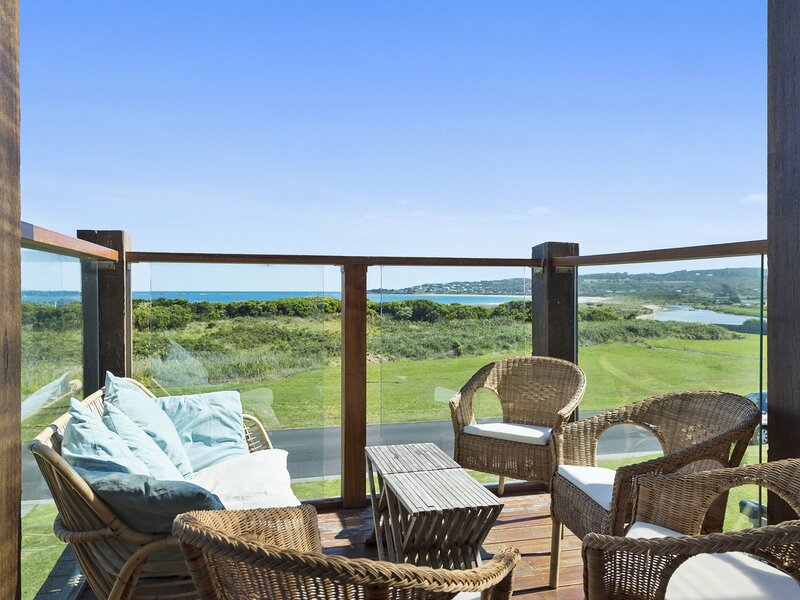 Set within immediate walking distance to the beach and golf course, a short stroll to the harbour, cafes and shops and with expansive ocean views, this light-filled property has been lovingly appointed to create a perfect modern beach house. 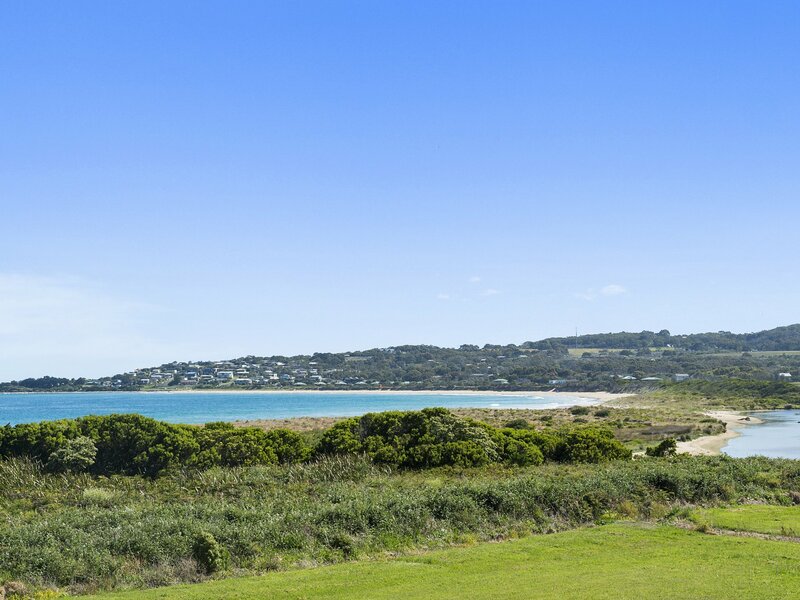 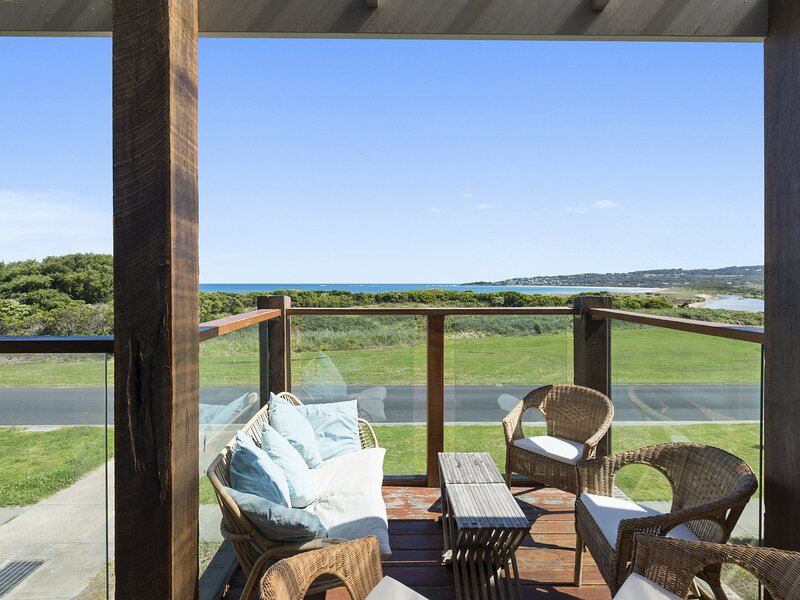 The ideal location to enjoy all that Apollo Bay has to offer on the Great Ocean Road! 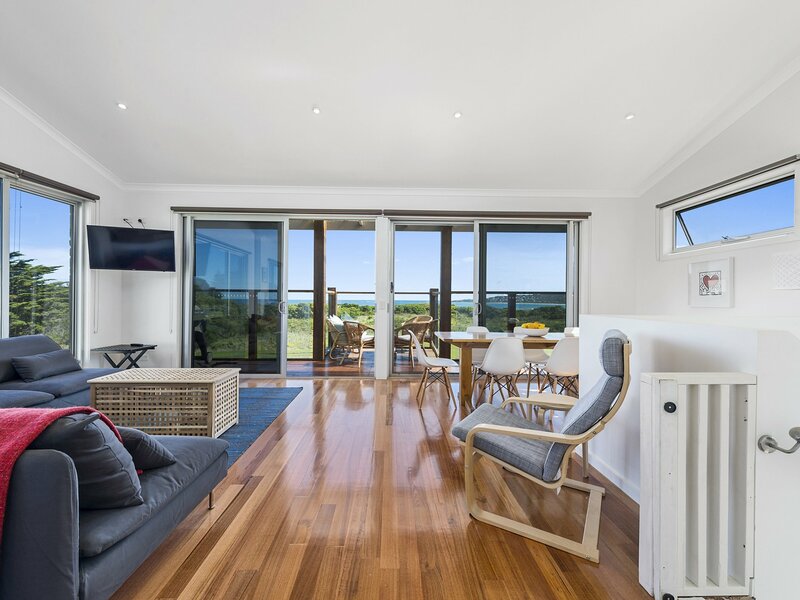 The main living area is upstairs, with comfy couches looking out to the view, a wall mounted Smart TV, and a fully equipped kitchen, including dishwasher, microwave and an extensive range of pots, utensils and equipment. 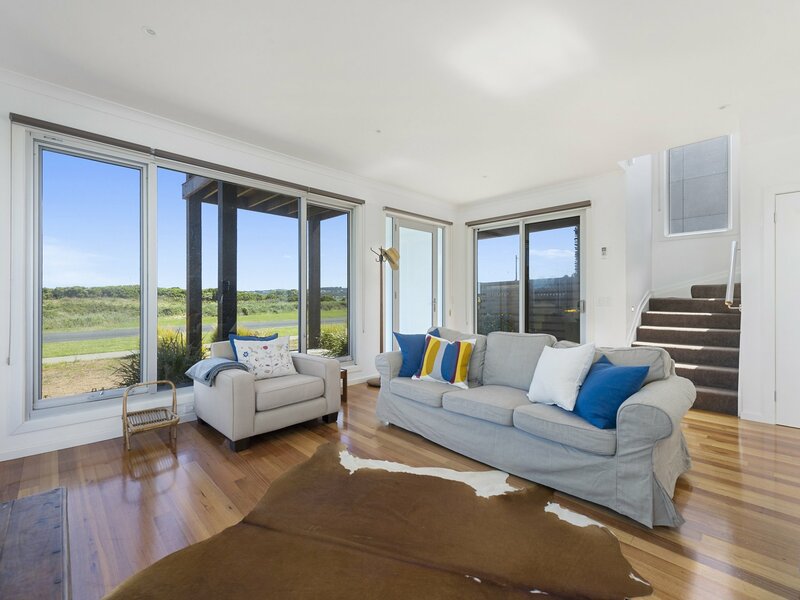 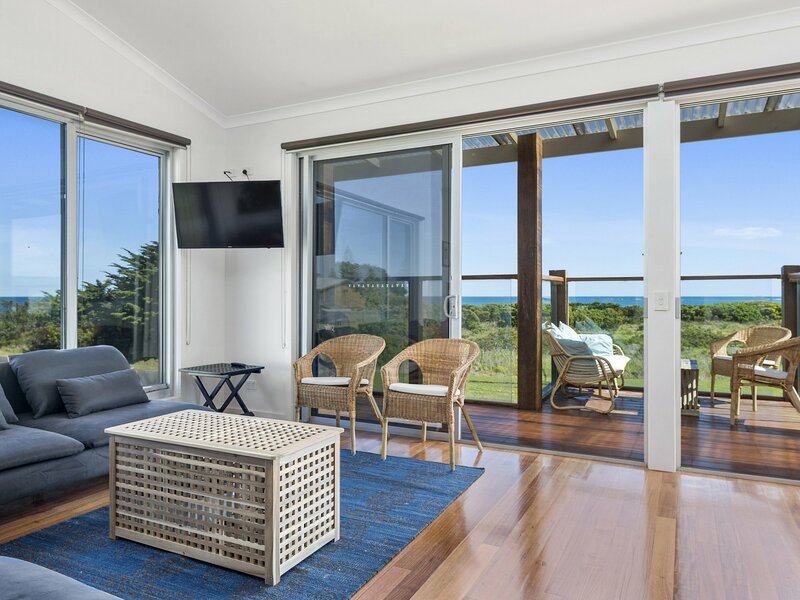 Sliding doors from the dining area lead to the outdoor deck overlooking Little Henty Reef and the Marengo Reef Marine Sanctuary stretching to the Southern Ocean and beyond. 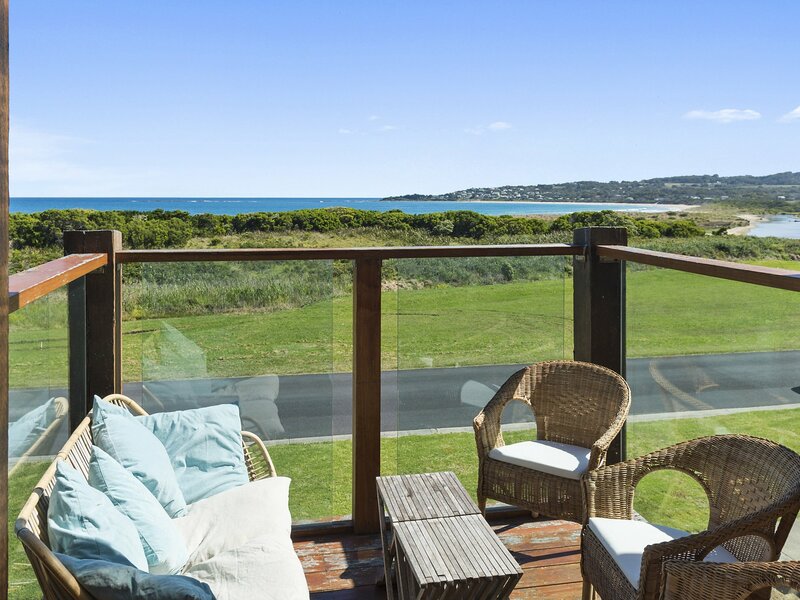 Bask in the sunshine; share an evening meal with warm summer breezes or watch the waves crash to shore wrapped in a rug and a glass of your favourite. 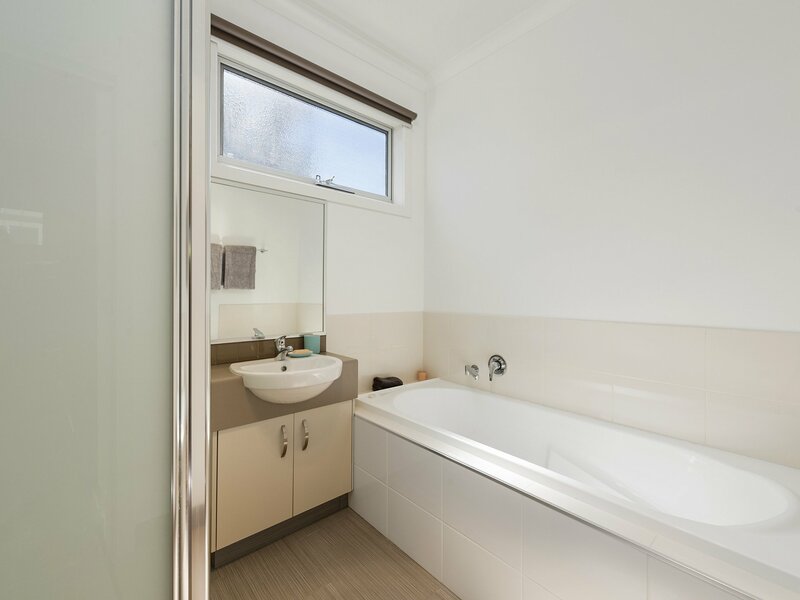 The house has four bedrooms – there are two bedrooms upstairs including master king bed with ensuite; plus 2 bedrooms downstairs and 2nd bathroom with bath, shower and separate toilet. 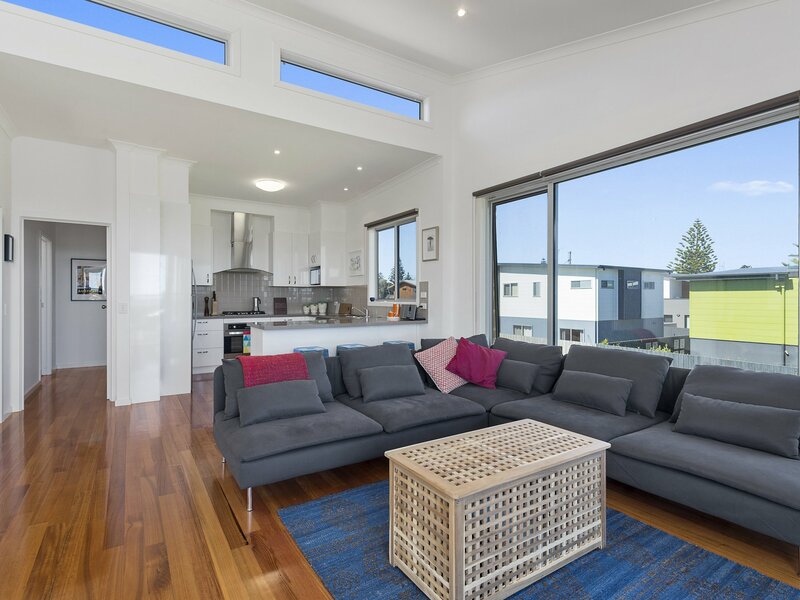 Downstairs also provides the 2nd living area with TV, making it the perfect house for large family groups. 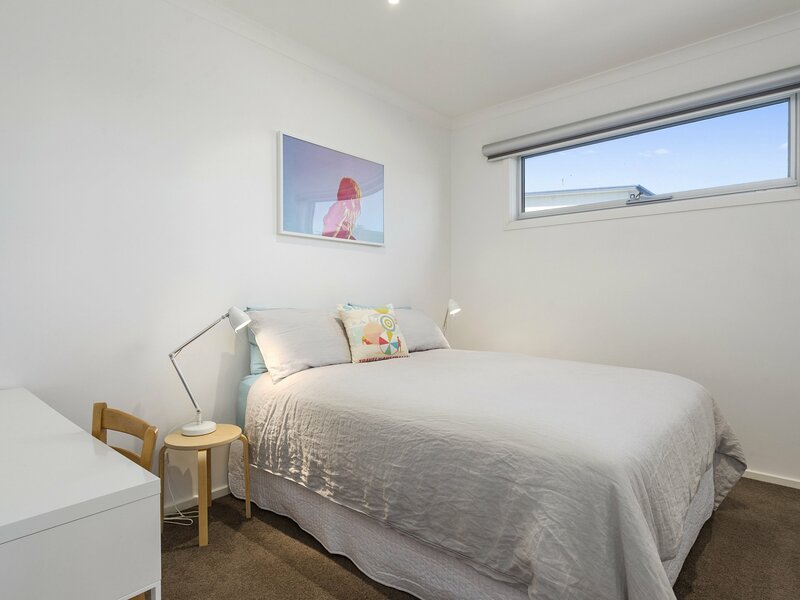 There is unlimited WIFI available in the house, and a Smart TV upstairs for you to login to your Netflix account. 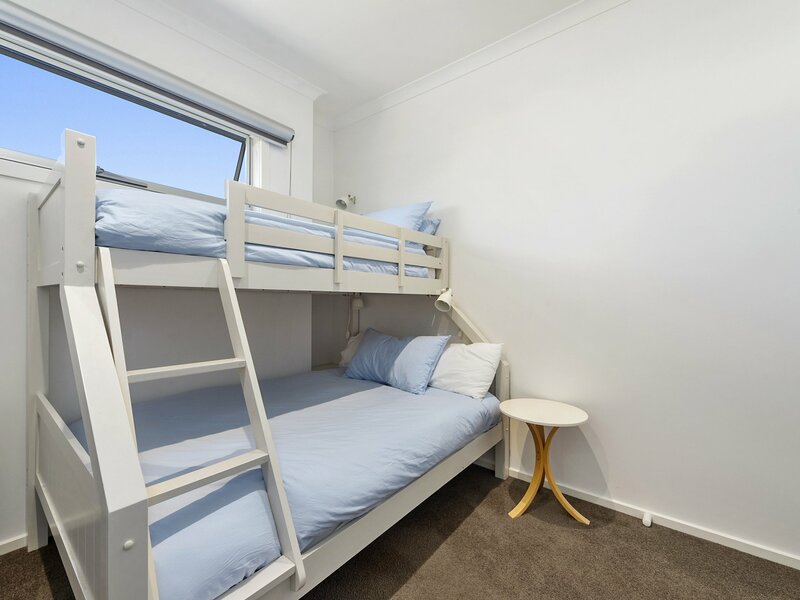 The bunkroom is quite spacious and offers the dual purpose of a trilogy bunk with double bed on the bottom. 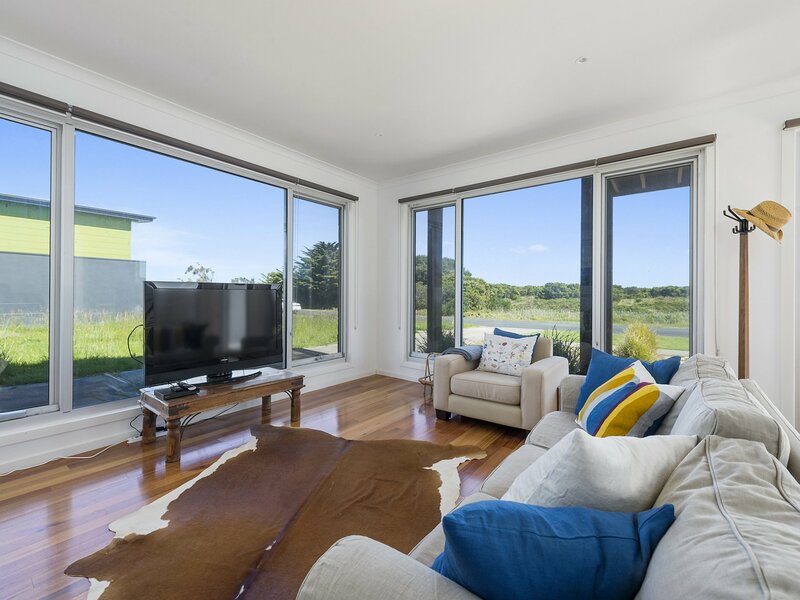 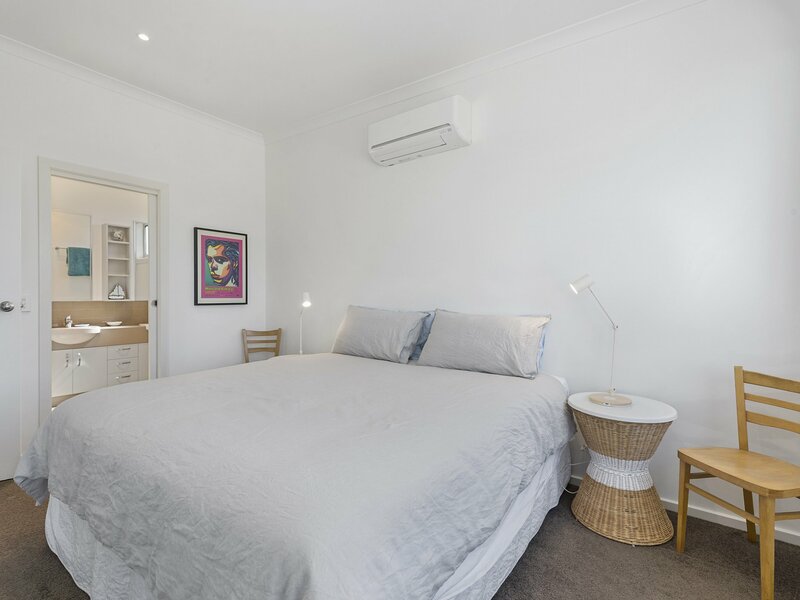 Drive into the double garage with internal access to the downstairs area, or stroll back from the beach straight into the air-conditioned comfort throughout. 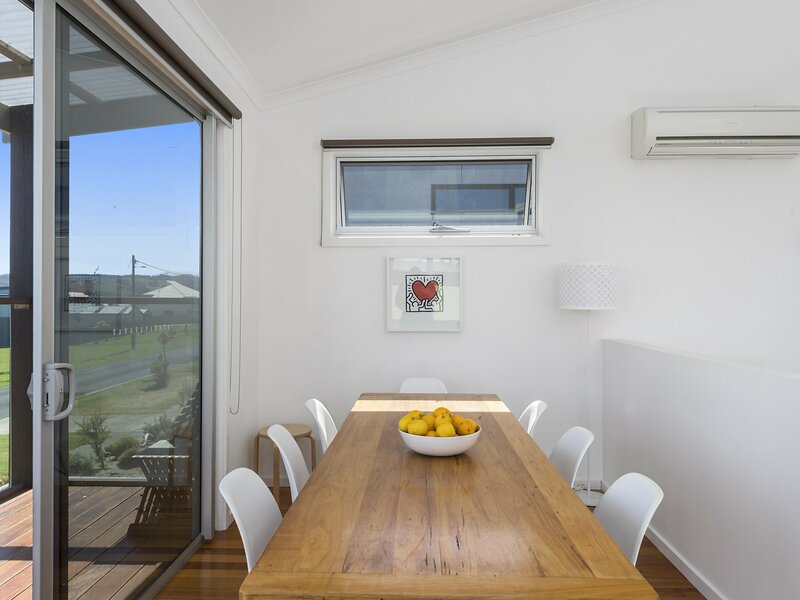 A secure kennel run tops it off for your four-legged friend as well. 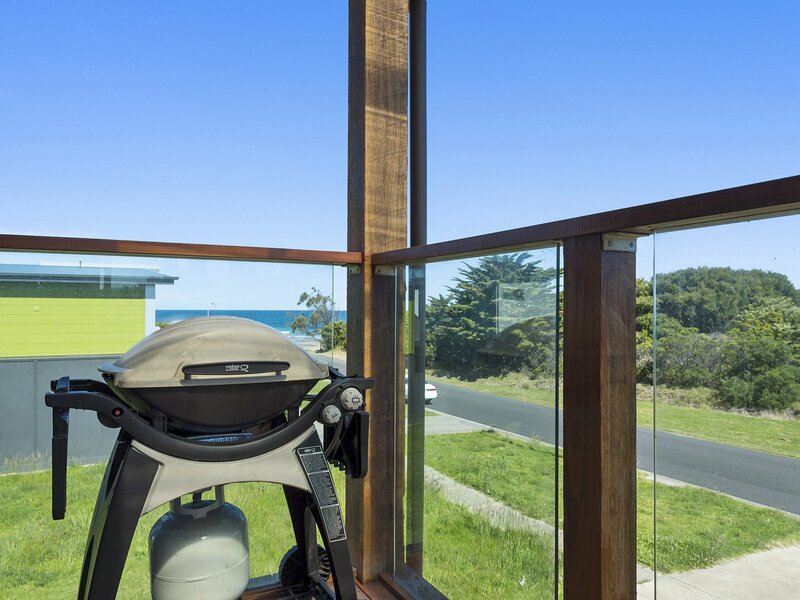 Direct access to beach across the road. 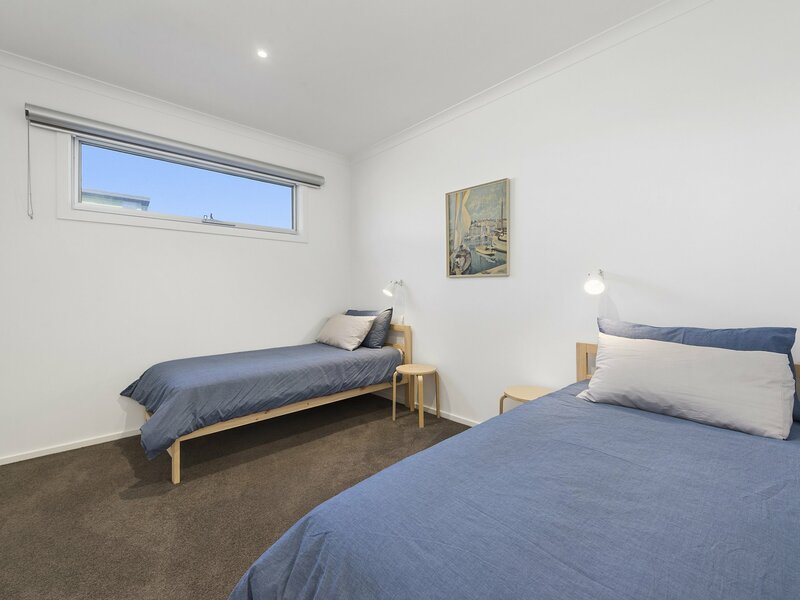 Close to shops, main street, harbour and golf course Pets welcome. 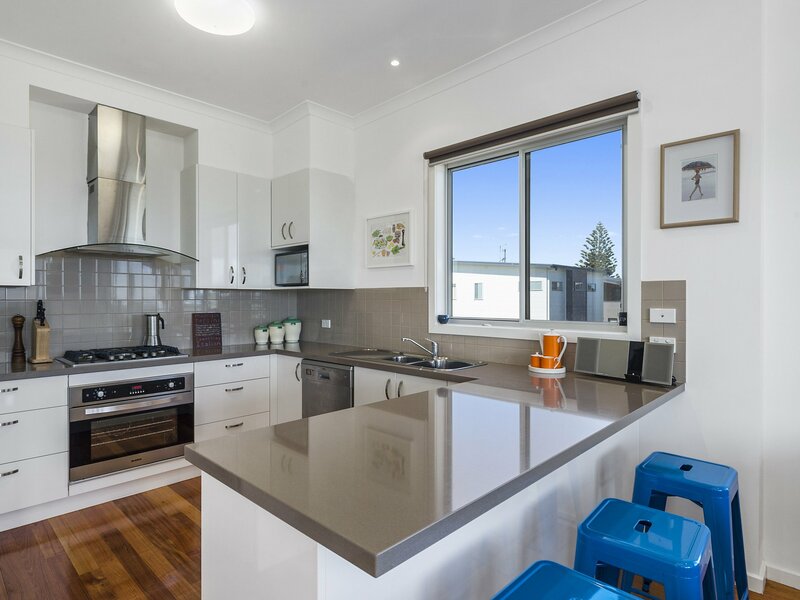 Secure fenced yard and kennel.